It is nice. They come and help me clean the bathroom and clean up the kitchen. They are nice people. They are just nice people. They make my house look beautiful. It is wonderful. I'm am grateful for the help. They provide companionship for my loved one. They can improve how they communicate and have more communication. They need to let me know about what is being done and have more of the next steps for the caregivers. They help me with my home care when I'm unable. They are reliable, schedule quickly, and I have received the care that I wanted. Everyone speaks fluent English. The jury is still out because I'm not sure how much of this my husband really needs but he still needs it. It's helpful. It keeps him active and stimulated. It's nice to have somebody there. I would like to recommend them. They were very thorough and went to our house and sent someone who didn't work, but they were very understanding and replaced them, and this caregiver is very good and prompt. They could just help move some things I have in boxes. I like that they are consistent. Without them it would be impossible. I like that they are prompt, courteous, attentive, professional and accommodating. I have three people that come regularly and they are great, but the others really do not know what they are doing and they are not trained. The people that come here are not truly trained in some of the functions that I need them to do to make me comfortable. I work full time, so when I get home, at least my loved one has been fed dinner. She is ready in her pajamas when I come home. I will recommend them. I have recommended someone, and they have been using them for a while. There is someone physically with my dad, at all times. I don't have to worry about it or manage it. He's gotten into the habit of asking the caregiver things, and not me. They were very responsive when I first contacted them and got back to me. They are always available. The most important thing was that they sent good people that I felt comfortable with. I liked that the people who run it are very kind and understanding. If there is any medicine I need, the caregivers make sure I take it. The caregiver is always on time and ready to help me. They send me the right person. We got the person perfect for my mother. I really like the caregiver. She is perfect. They made my life 100% better. She did a good job. I couldn't have done that without her help. I think the little gal that they sent was a little bit young, but she was fine for me. It makes a huge difference that they are here because things are more organized and streamlined with the caregivers. They provide me a good quality service. They are friendly, efficient, and helpful. I can't do dishes and laundry. It is very difficult, so they keep the place in order. They help with cleaning, since I can't do it. I couldn't do it all myself, so it makes my life work having them there. They are very responsive and reliable. I have a good caregiver that is helpful and comes on time. They have good people at the agency. They have really helped me. I am blind, so anything they do I appreciate. The cleaning is what I appreciate. The house I live in is very dusty and they clean really well. I hate too much dust because I'm asthmatic. Some of the caregivers that come are good and clean well. Others do okay, but forget to do things that I've told them to do. I tell them, for example, to take the trash out. They say yes, then they leave without doing the task. I live alone and I have been amazed at their kind hearts and the good workers. The caregivers are magnificent, professional, and they do what they are supposed to be doing. They could have a greater impact on my life if they were more innovated and took more initiative. They need to have more efficient people. They help maintain my strength so I don't get weaker. They take me to doctor appointments. We have recommended them before. I have limited information since I have only used one other agency. When I need somebody I can get someone but they have sent a couple of people who couldn't lift me and I need someone who can lift me. They do well with what I need. We couldn't do without them. They are very efficient and they take care of everything. I didn't have enough hours. The biggest thing was we had too much of a turnover with people. There were always changes, and that wasn't so good for us. It just didn't work out too good. The care was average. There were some that weren't so good. We had two hours, twice a week, and that wasn't enough. With that short amount of time, we constantly had a change of people, and that wasn't so good. Some of the ladies were pretty good, but some of them not so much. They made my life so easy. I cannot walk and they were doing everything that they could to make sure that I was comfortable. The services were wonderful. They were very helpful and polite. I have very little time with them, but they have helped me take my medicine and clean my house. I like that they are very attentive and very nice. Some of the girl did only what they were asked to do other and got busy and took care of things. They need to encourage the girls to not just sit down when there is not something for them to do. A couple of times, the caregiver just didn't show. At current, I am on my vacation in order to be with him while my stepmom goes to a family reunion because we don't have a caregiver coming. The first gentleman, although he was good, called out sick twice and apparently could no longer work. My mother-in-law requested another worker, and they said they couldn't find anyone. There are some pluses and minuses because all caregivers are different. It all depends on the caretaker. Some are very caring and some are less caring. It all starts with the owner and his staff. They are very good and they are what makes it good. They provide the service and it helps me. We live in different states, so it is a benefit that they can provide good service. I like their caregivers and the way they deal with my loved one. I want them to communicate with me and keep to the schedule. They need to stay in touch with their clients and improve their communication. The caregiver helps clean, cook, and she even listens to me. I like the caregiver because she's really nice. They need to listen to me about what I need done. Sometimes the caregivers are not trained before they come out. They talk with me, they make me feel very comfortable, and they help out when I need them to. They provide me companionship. The people that I've dealt with have been very nice and helpful. They give me as much help as I need. I think that they could have communicated more often about scheduling because sometimes it was a little late. The quality of the care was very good and they made sure to cover all of the shifts that we had. It had an impact in the sense that it was available. When I needed them, I could call them and use them. It was an available service. They put order back in my life and give me a sense of confidence. I would say the whole thing is positive. They are eager and ready to assist and know what to do. Initially contracted Right at Home for care for my mother for 7 days for about 2 months and we have no complaints. My mother can be demanding but she was in frail shape and needed a great deal of care and the care aides sent all provided what was needed and created a strong bond with my mom. Office staff was friendly and helped us when we needed to make some changes to care. We have since cut down the service to just 2 days per week with just one care aide and things seem to be progressing well and my mom enjoys the visits. We're very pleased with the service. They helped watch my loved one so the family could take care of other things that needed to be done. Most of the people that came to the house had a tendency to be on their phones a lot. They were in the room supervising the patient, but rather than helping with other things they were on their phones. They could have done basic housekeeping or offered to help with other things. They were adaptable and patient trying to find the right match by adapting to our needs. There are times when they haven't had caregivers available. The only negative with Right at Home is that sometimes caregivers are not available. Their services are very beneficial. I am able to get a bathe and have a few things done for me during the week. I am receiving great care from my caregiver. She did a very good job. She was on time and stayed for four hours. She did what I asked her to do. The person was on time and followed instructions. They did a very good job. They provide companionship, and the lady walks with him everyday and helps him with different things he can't do by himself. I like the concern they have for my father. They could do more work and work faster. They are honest, they don't steal, and they are good. They have good communication. I would have to do those things myself, which is hard when I have a sick husband to attend to. It helps a lot and I truly appreciate their help. The caregivers that they send really work. They are very detailed and polite. It helps a lot because they give me a little relief. The girl that is coming out gets along well with my husband. She does a good job, and we're happy about their services. Some of the things that my mother and brother are not able to do is done for them, such as cleaning. It depends on what the people need; so far, so good. They send a guy to do carpet cleaning and he did a good job, but the guy that cleaned the windows did not do that good. He gives my husband his bed bath. He is a person, a human contact, who is very kind. They helped in a way that I couldn't. They are very good. They send out someone who is very knowledgeable. They send different people out every time. What I like is that they call to let me know who is coming. It has been most helpful because there are a lot of things I can not do which they do for me such as dust, mop, clean, and vacuum. They are very courteous and they keep their word about the times and appointments that they give to me. They show up on time. I have no complaints about it. Everyone I've had has been very satisfactory. A young lady that has served me the last couple times is very efficient and I really like her a lot. She just went though and did what she had to do. I would tell her what I wanted and she would do it. With their services I have been able to get some of the things that I need here in my apartment. They are very thorough with what I need. The caregivers do their job and they know what they are doing. I am handicapped and they make it very easy when they are here. They do their job and they do it well. Right at Home is a very well-organized agency and their caregivers have good training. The administration is always available and ready to help in any way. I have had some of the same Right at Home caregivers for over a year that makes life not only easier for me, but provides emotional support for me. I would recommend Right at Home because the people were nice. The service helped because it took care of my mom. We requested care for my husband while I was at work. We were extremely pleased with the quality of the caregivers and so happy that Doug and Leanna were able to accommodate changes in our schedule due to doctors appointments etc. we were very happy with Right at Hone Burbank. Requested help for my mom after our dad passed away. Right at Home sent 2 lovely care aides to assist. It's been 2 years and no complaints. Nice staff and very responsive. Would recommend. Right at Home caregiver helped me around my home. The match made by Right at Home was excellent. The caregivers are very sensitive and willing to help. Great attitude under a difficult situation. Very pleased. Competent and dependable, Cesar is excellent. The caregivers were friendly and competent. As my husband's condition improved we were happy to need caregivers less frequently but by that time they had become our friends. We remember them fondly. We were very satisfied with Rayne. We very much appreciated the timely manner your company accommodated our needs. The staff was professional, pleasan, and very helpful. I do have one suggestion. Do not rely on a message left on a message if you do not receive a call back. RAH is a wonderful service. They always made sure we were getting quality caregivers. They are really a wonderful, compassionate service. As you can probably imagine, it was a very stressful few weeks after my dad's stroke. Doug and his company were a real source of assistance in helping manage all that needed to be done. Working Right At Home was anything but stressful and I very much appreciate that. How would you rate this provider? 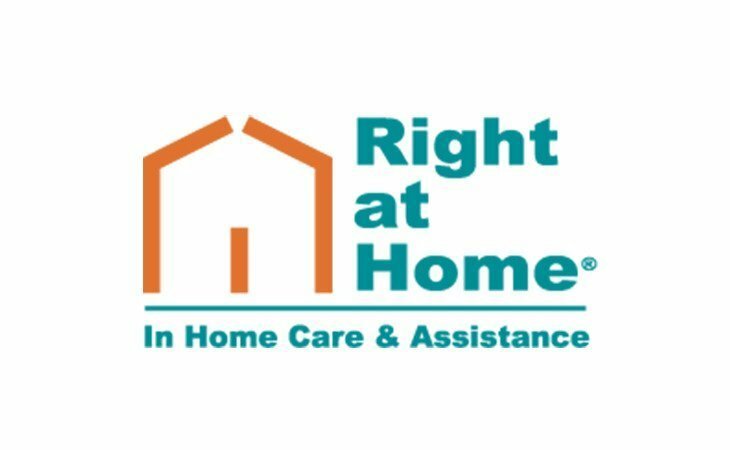 What should caregivers and potential clients know about Right at Home Glendale and Burbank? What services does the agency provide you? Does their staff typically arrive on time? How are your interactions with the caregiver(s)? How responsive has the agency been to your requests?